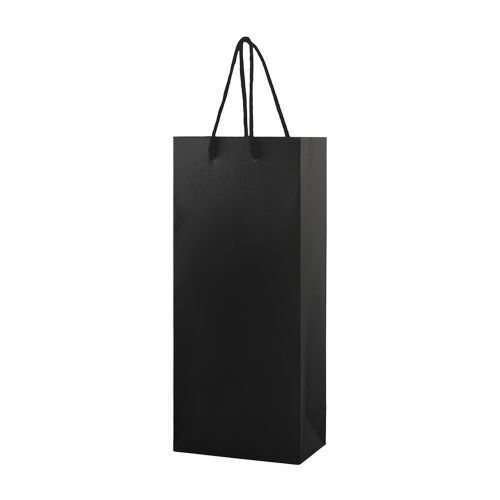 High quality totes are made with 200 GSM paper and 100% cotton handles. 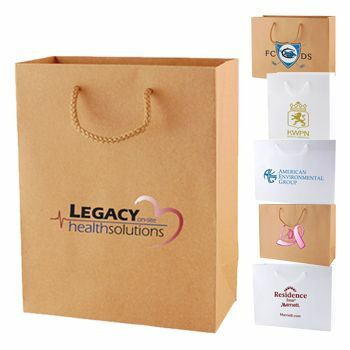 Display your brand with a classy foil hot stamp in the color and finish you choose. 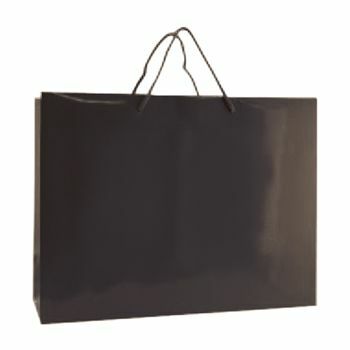 8 X 4.75 X 13.5"
Show your product brand with these high quality euro tote bags made with 40% recycled materials. 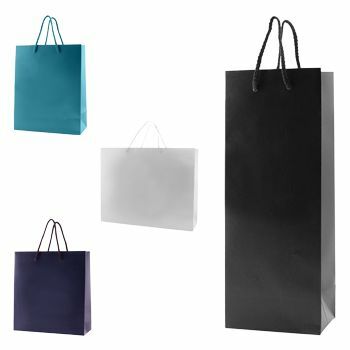 With sturdy paper and a black cardboard bottom, these are ideal for boutiques, shops and as swag bags for a special event. The bags have a black interior and a fine embossed exterior. 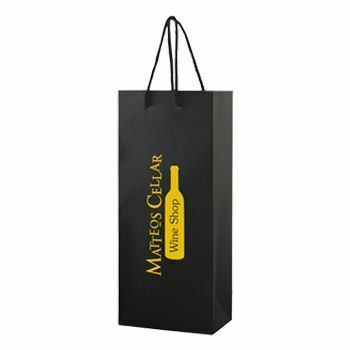 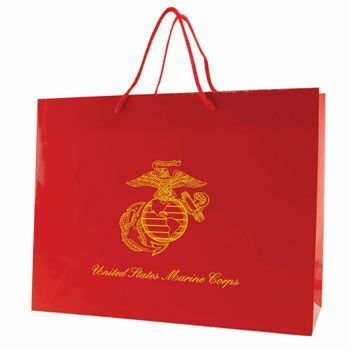 Provide your design according to artwork guidelines to apply to the bags using a foil hot stamp. 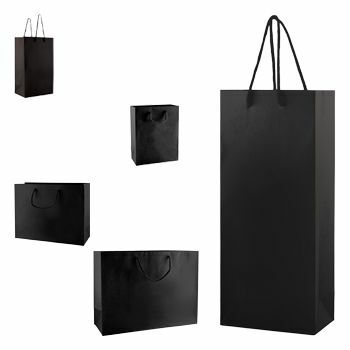 Shop now to select your color and bag size.